Yes, it's about that time we feel we need to add a little update to keep you posted of what's occurring at Connoisseur HQ. So it's A/W already, this year has flown by a little too quickly (again) and now we find ourselves right into what becomes a rather hat-mad period for us. As I type we've received what is quite frankly as per previous years, a rather broad and dare I say, unrivalled range of titfers as you can get! 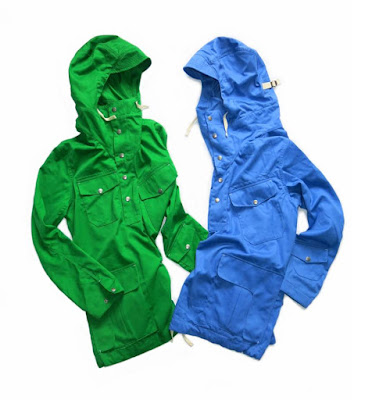 Our McMurphy's are first up, the McMurphy's are one of our own personal favourites and I don't tend to venture outdoors without one in the colder months. We've got a selection of colours of these and the first three will be released this Friday at our usual time of 7pm, the second batch next Wednesday 2nd Nov. We've got Deerstalkers, Bugattis, flat caps galore. All lovingly and ethically made by master craftsfolk at the top of their game in the UK and Europe. We love our hats as you've probably guessed after all these years and this year is no exception! Feel free to check the shop out now for a preview of what's coming. Then we have the Connoisseur 'Anoraks'. A long work in progress and a labour of love to ensure we got these right. All made in the UK, we've had our own brand new design crafted over four different colours and fabrics and finally this November they'll be getting released, as always limited production for each. It's a very local coat, made less than 20 miles from us in a renowned factory, each fabric comes from Manchester/Lancashire with British Millerain and Brisbane Moss the chosen fabric for these. The little details such as the metal slider for the hood being sourced and made for us for why this was worth waiting for. We haven't released too many coats/jackets in our ten years as a label, we feel it's better to go with quality not quantity and each time our aim has been to improve on each item as we go forward. That said, this is a real passion for us, so there's definitely more in the pipeline. 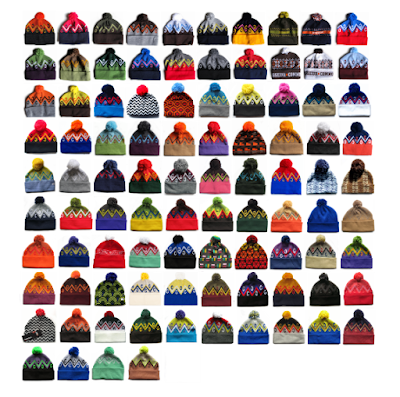 We're currently working on new Weirs this year, but let it be noted these have been scaled down this year with no specific/exclusive wholesale hat on offer like we did last year and a limited number of designs this time. 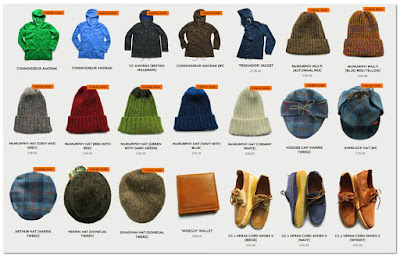 When we started the Weirs, we were pretty much the only people of our ilk designing and manufacturing these style of hats - i.e. with a specific design inspiration from all sorts of weird and wonderful patterns and indeed completely impractical places and sources! As is inevitable over the years, underground things become more trendy, people soon get onto it later and it becomes less exclusive when everyone is doing it, which for us makes our interest dwindle a little, sad but true! Worry not though, we will still be offering our hats - both the Weirs in new colours as we reach the 100 mark and they'll be a couple or three collabo offerings we've already sorted thus far, including as per previous years a charity edition hat (more info on that soon). We're finalising some new special editions too. What else? We've still got a few pairs of the excellent cord shoes we've done with Veras available, not many as they went fast on the initial release, so if you're a 6 or an 8 go get them. They're also available at Veras too, though literally one or two sizes. Our last ever shirt we've done with Tuktuk and our favourite is now online too. And we're just finalising a wonderful calendar that will be available real soon. A lovely mix of CC and lovely ladies what's not to like? Other than that, we've been trying and continue to work on a new website for the new year, our current hosts have been a pain and we've found the simple task of updating the site to be impossible in recent months, frustrating! So bear with us there. Finally next year we'll be restructuring and sorting our wholesale situation to make things run more smoothly for both us and the stockists we supply. Time issues and outstanding monies have been an issue for us this year and we want to restructure it so it runs better for us all, which is something we will be focusing on in the new year. COATS 'N SHORTS IN ACTION.